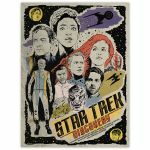 A new batch of Trek-themed posters from Bye Bye, Robot will be of interest to those shopping for their Trek fan relatives and friends. 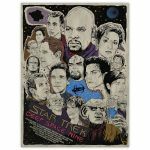 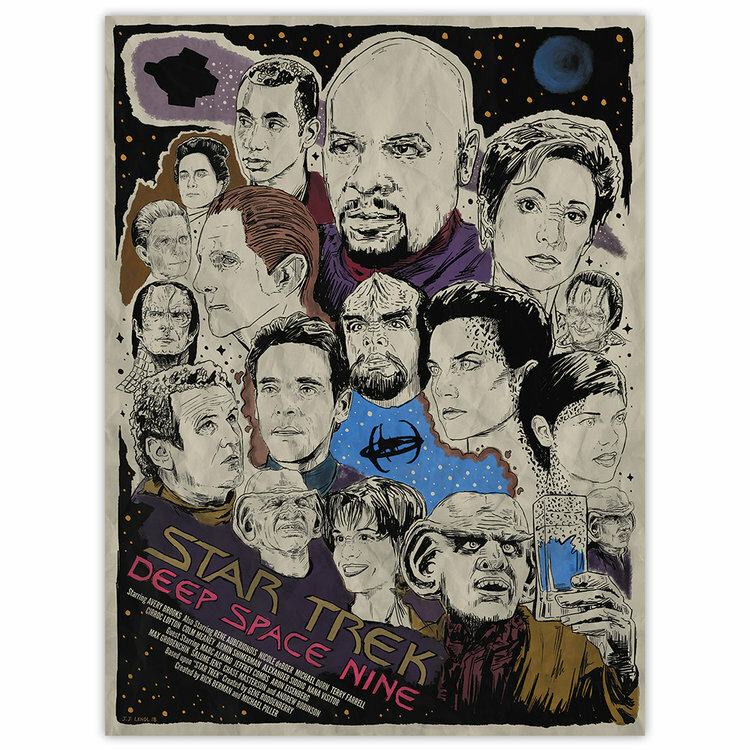 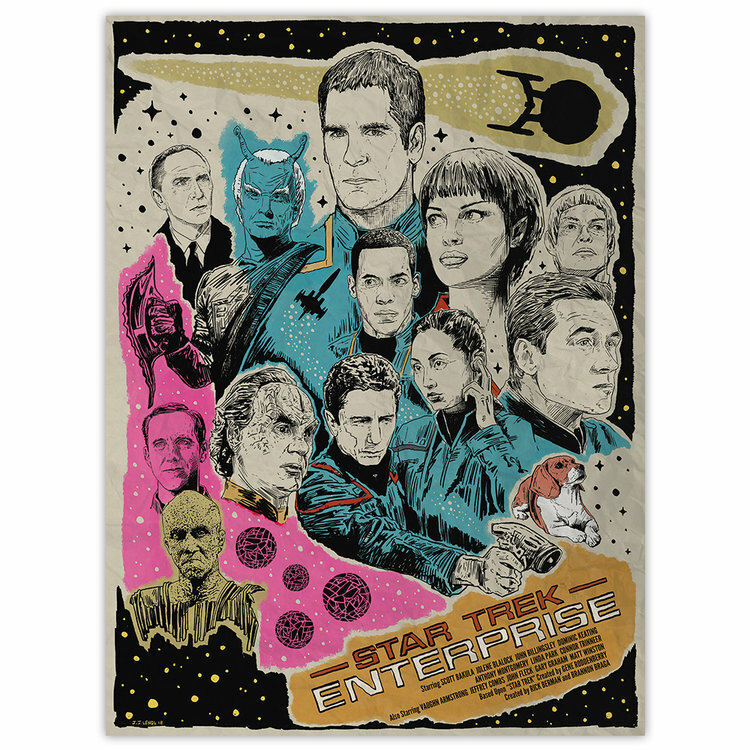 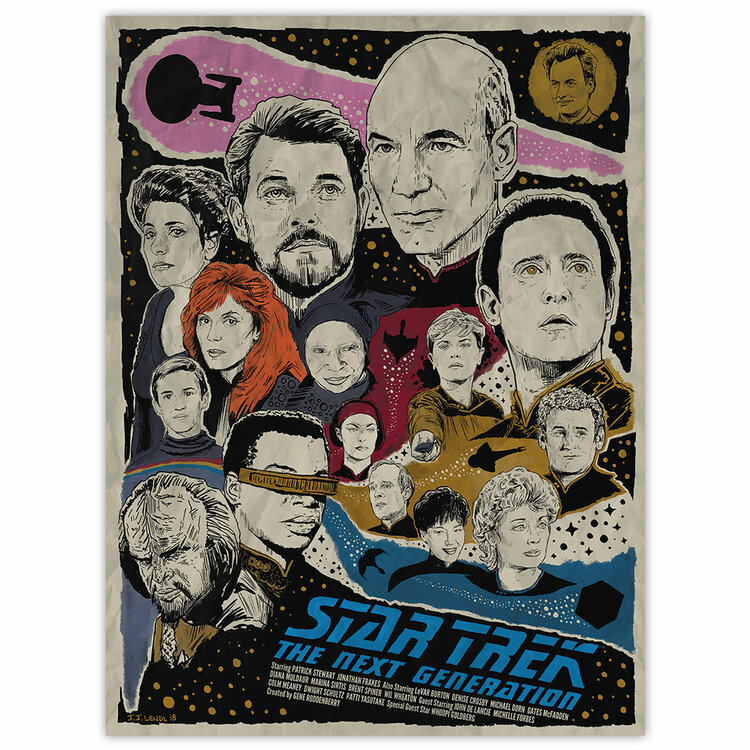 Seven new Star Trek art prints have been created by J.J. Lendl and Mark Brayer. 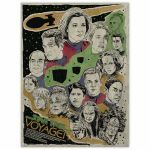 The posters are TOS, TNG, DS9, VOY, ENT, HMS Bounty, and Live Long and Prosper. The first five come from Lendl, and the last two from Brayer. 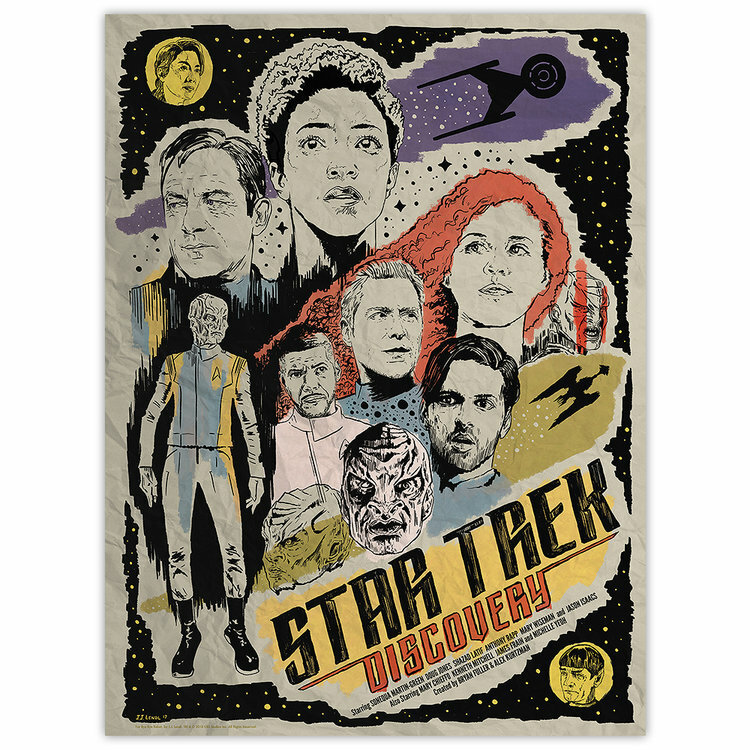 A previously-released Star Trek: Discovery poster, Disco1, is also available. 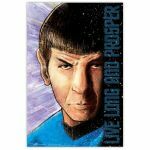 It was also created by Lendl. 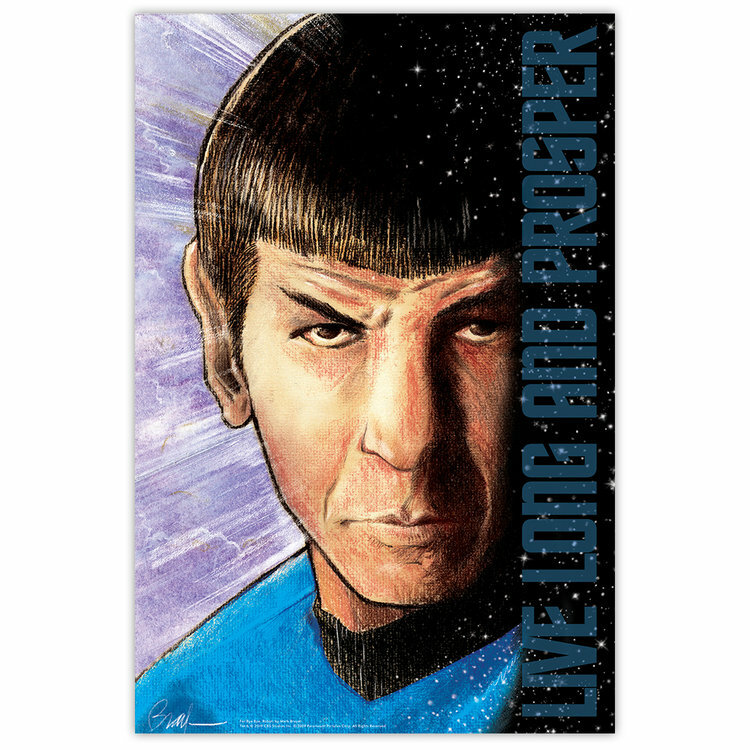 The Lendl posters are 18″ x 24″ and are printed on heavy weight 10pt acid-free cardstock. 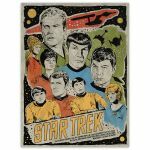 The Brayer posters are also printed on the same type of cardstock, but are 16″ x 24″. 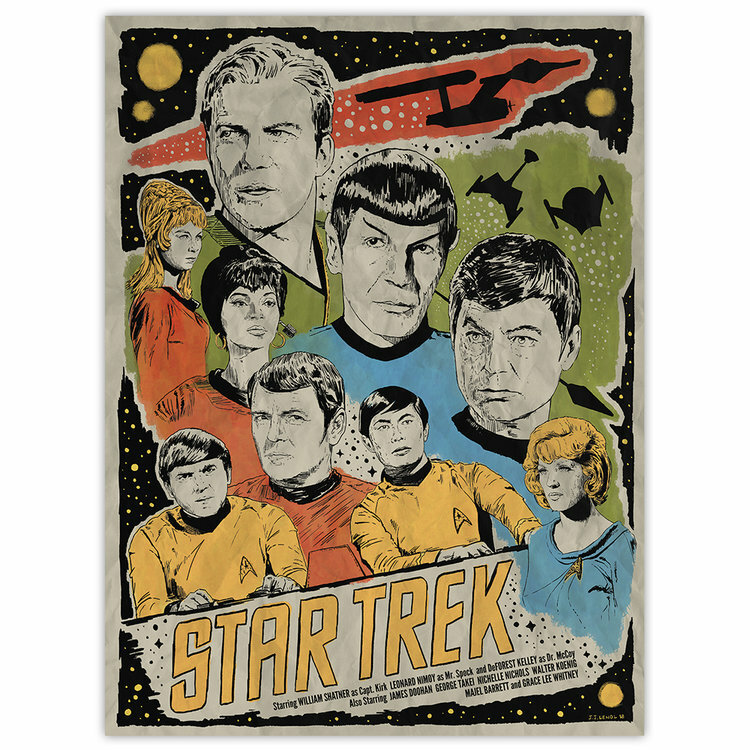 Individually, each poster is $25.00. 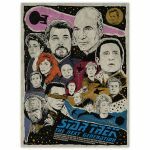 However, the Lendl series of posters can be purchased as a five-piece set (minus the Discovery print) for $110.00 or as a set of six prints for $125.00. 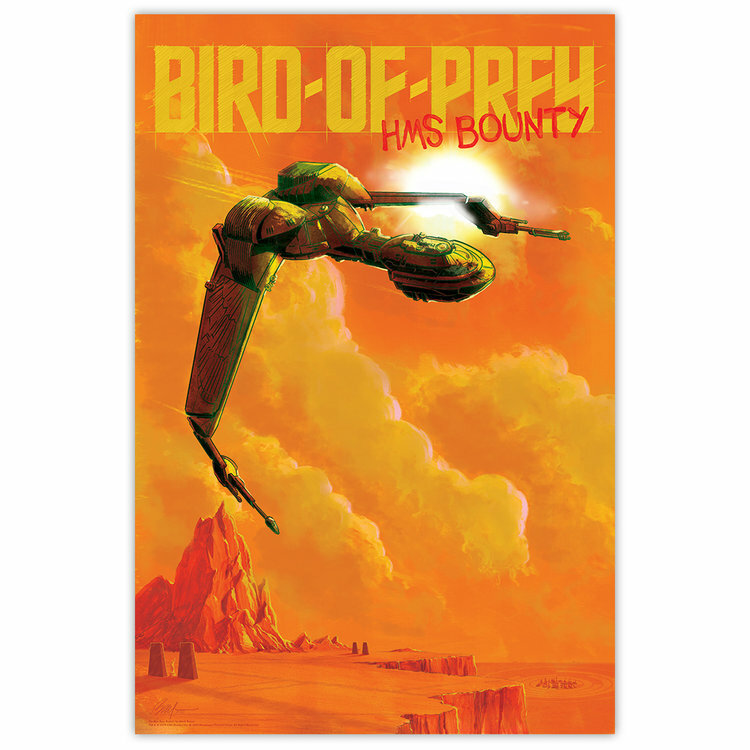 To order yours, head to the link located here. Click on thumbnails to enlarge posters.